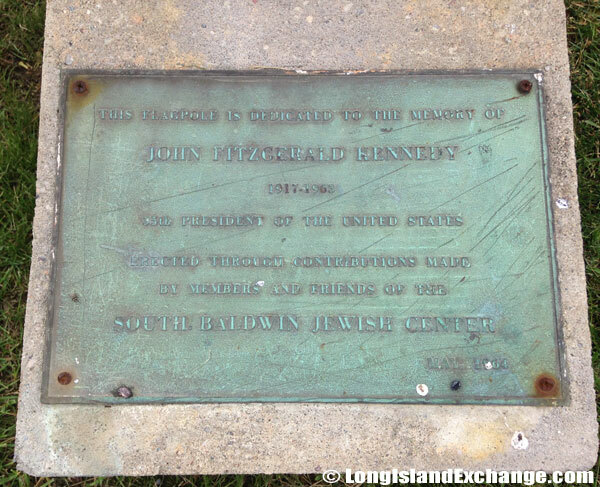 Baldwin is a hamlet in Nassau County located in the township of Hempstead, on Long Island New York. As of 2010 census, there were 24,033 people, 7,637 households, and 6,056 families residing in the area. The median income for a household in the community was $99,872 and the median income for a family was $107,150. Males had a median income of $63,910 and just $52,813 for females. 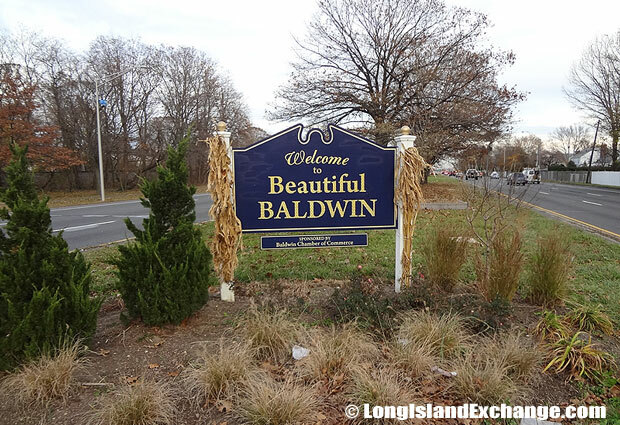 A sign welcomes drivers on Sunrise Highway to the Beautiful Baldwin community. 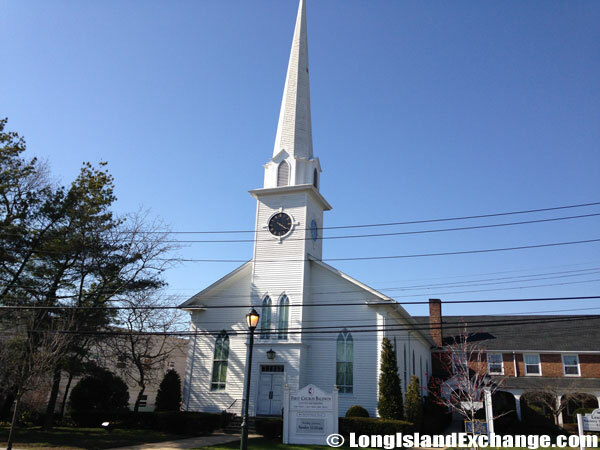 In 1810 a local farmer, Christian Snedeker created the Bethel Chapel, Baldwin’s first church, later serving as the first schoolhouse. The latitude of Baldwin is 40.656N. The longitude is -73.609W. It is in the Eastern Standard time zone. Elevation is 23 feet. According to Money Magazine 2007, Baldwin is ranked as the 25th best place to live in the United States. St Christophers Church and School. The 8-acre Milburn Pond Park in Baldwin on Merrick Road between Windsor and Surrey Lanes. The hamlet has 50% of it people over 16 years of age who commute to work an average of 32 minuets. About 14.4% of residents in Baldwin take advantage of public transportation trying to avoid dependency on cars. Many different neighborhoods with wonderful tree-lined streets make up the town. Some earlier developments feature either capes, colonials while other areas share a mix of architectural styles. 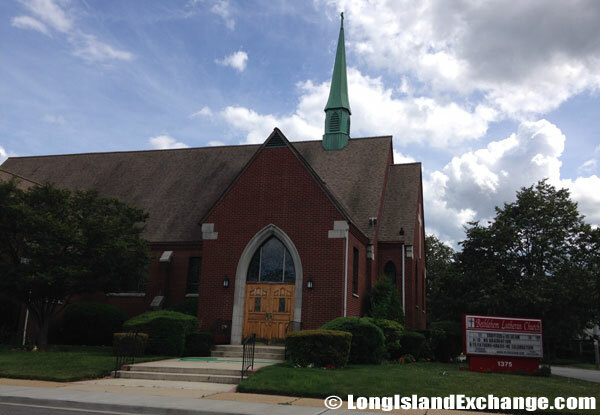 First Church Baldwin United Methodist, Baldwin New York. 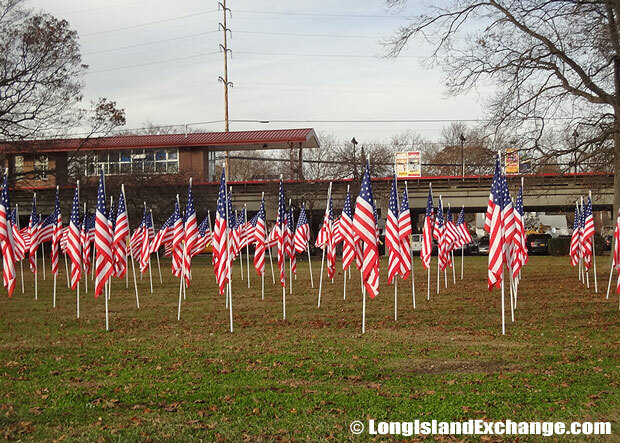 Baldwin station on the Babylon Branch of the Long Island Rail Road, located on Sunrise Highway and Grand Avenue. Baldwin Harbor Park is a popular park in the area offering athletic fields, a playground, bike paths, a roller rink and skate park. It provides enjoyment to children who play in its safe environment. There is a good selection of Italian and Asian restaurants which make this place interesting. 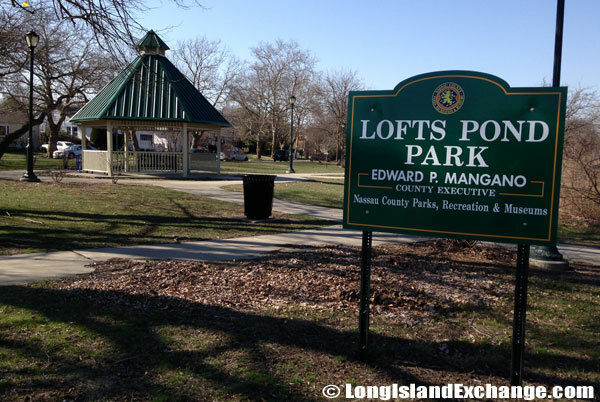 The 14-acre Lofts Pond park provides a view of the large pond bordered by residences on several sides. 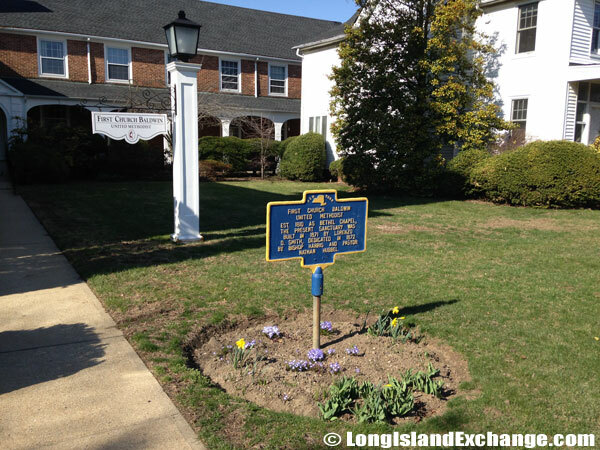 The property is located at Merrick Road between Windsor and Surrey Lanes and was acquired by Nassau County in 1963 and 1966. South Baldwin Jewish Center Congregation Shaarei Shalom, a fully egalitarian friendly synagogue. 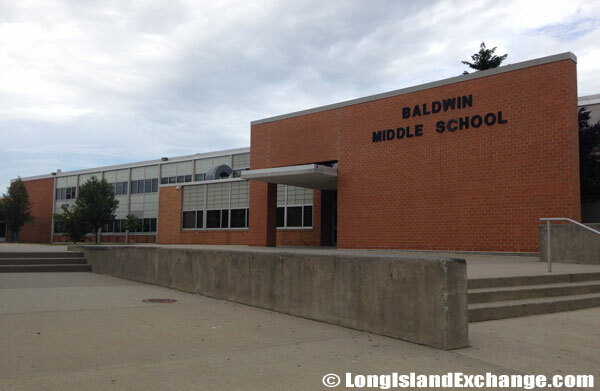 The Baldwin Union Free School District has a total of 7 elementary schools, just 1 middle and a high school. The elementary schools contain grades K-5. The middle school contains grades 6-8, but the sixth graders spend most of their time in a separate wing except for music, gym, lunch, arts, computers, technology and language. 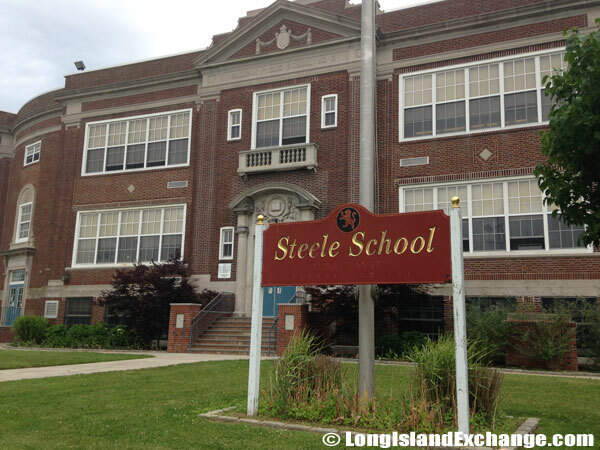 Steele Elementary School, Baldwin Union Free School District. Baldwin Middle School at 3211 Schreiber Place serves roughly 1300 student in grades 6 through 8. The high school contains grades 9-12. The District is governed by a five-member elected board of education. 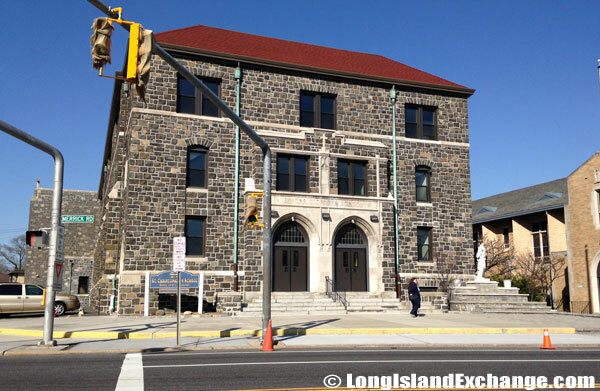 Baldwin also has one Catholic school, St. Christopher, which was established in 1925. The school serves children from kindergarten to eighth grade. Bethlehem Lutheran Church, worship with Holy Communion every Sunday at 10:30 a.m. Sunday School 9:00-10:15 a.m. 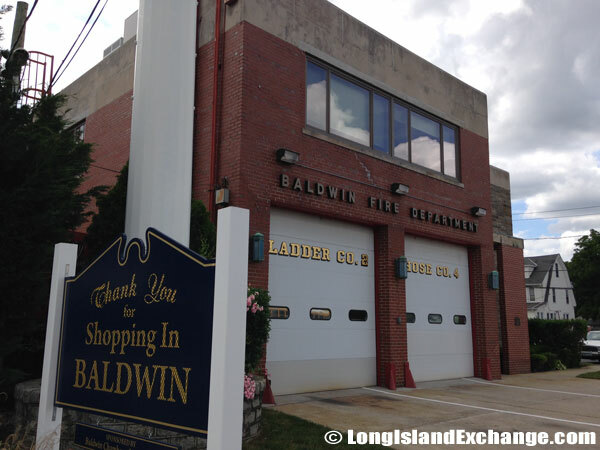 The Baldwin Fire Department, providing services since 1895. Ladder Company 2 Hose Company 4.